As we’ve mentioned on a few other occasions, hey, they can’t always be pretty; but sometimes they’re still worthy of a mention. 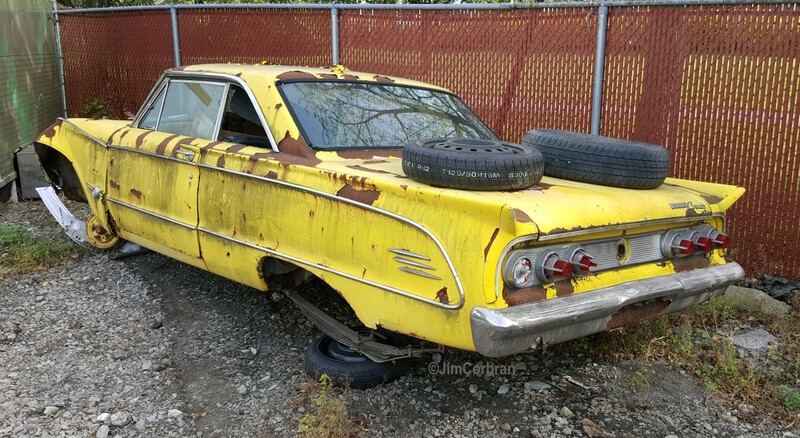 This 1963 Mercury Comet S-22 hardtop is quite rare (only 5,807 were made). The hardtop model was introduced part-way through the model year as a 1963-1/2, at the same time the big Mercury debuted a semi-fastback Marauder S-55, and parent Ford introduced a series of newly-shaped two-door hardtops of its own. Hopefully this yellow example, seen last week in North Tonawanda, can be brought back to life.